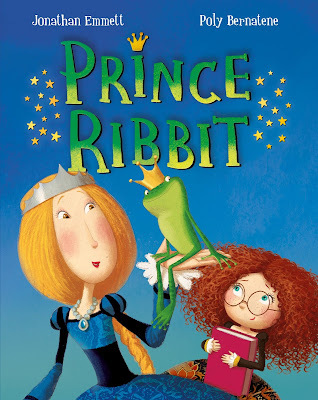 Princess Martha thinks her two big sisters are being very silly when they believe a cheeky frog who is pretending to be a Frog Prince. They treat him like royalty and spoil him in the hope that he'll turn into a handsome prince. Princess Martha prefers books about facts, than books about fairy tales but when Prince Ribbit shows no sign of turning into a handsome prince, she decides to read a few fairy stories to find out what all the fuss is about. The story quite closely follows that of the classic Frog Prince but with an interesting twist that got Lara and Holly interested. None of us were quite sure whether to expect a fairy tale ending or not?!? With humourous illustrations from Poly Bernatene, and lots of silliness to spot on each page, we all loved this book and the girls have gone back to it several times since. Holly even cheered when she saw me writing up the review today and asked me to read it again.